That's the dealbreaker for me. No FALD, no sale. Richersounds would also price match with a 6 year warranty! There is no such thing as an HDMI 1.4 cable, that's the specification version. Cables come in 3 main versions: Standard Speed - certified for 1080/60 High Speed - certified for 4k/30 Premium High Speed - certified for 4k/60 This doesn't mean a High Speed cable won't work error free at 4k/60 but it hasn't been tested and certified for it so there is no guarantee. Would this be too heavy to mount on a stud wall? Ah fair enough. I once had an argument with a curry’s ‘advisor’ who said his £70 cable was essential. They had a comparison up in the shop that he pointed to with one that was a cheap ‘hd’ cable vs the premium one. The difference was noticeable until I queried what cable it was on the crappy one. It wasn’t even a hdmi cable which he didn’t seem to understand. Should have reported it to ASA but it was my father in law who was buying a tv and I couldn’t be bothered. I’ve had loads of £3 cables which have been fine. After a while some connectors have gone bad so get where you are coming from. Depends if you’re taking them out a lot though. If not a c£5 one should be fine. Let us know what you think when yours arrives. John Lewis now oos. I think I ordered one of the last few. John Lewis will price match this, so better to go via them and get a five year warranty. Good price but I think I read this year's sets are quite a step up from the 2018 Samsung offerings so it looks like I'll be waiting at least another year. price is wrong. not £100 or i'd buy 10. Gone up to £315. Scrub that. Now £299.99 again. Wow. A 55" Samsung under £400. Cheapest I could find. Ah yes, sorry, didn't realise that. Well pointed out. Cold for being only full hd. Surely nobody is going to buy a 1080p TV at this price when you can now get a 4k one at the same price point? Never miss a 'Smart TV' deal again! Hmmm I ordered the Philips 55PUS6753/12 55-Inch 4K Ultra HD Smart TV with HDR Plus yesterday (can cancel). Which TV is better? LG 55UK6400PLF LED HDR 4K Ultra HD Smart TV, 55" with Freeview Play/Freesat HD. This also has the all important 5 year guarantee included. How does this compare to the Philips on offer at Amazon? I have to use 3 remotes for my TV and sound. I'm hoping the magic remote or possibly Alexa(?) could stop me having to do this. Can you use either of these to turn on the TV, amp and set top box? Considering its £429 price the 4k picture is good, upscaling just average. Just a basic remote included, see my other comment. Voice control is available, but no magic remote with this model. Although they can be purchased at an additional cost. We also have a higher spec LG TV which included a magic remote, nice novelty factor but rarely use the magic functionality. Looks like a good deal to me for an amazing TV with great picture. I got ordered one yesterday from JL who price matched with no issues. For me, the Sony, Samsung and Panasonic have better pictures than the LG or Hisense models. I saw this TV up against a Samsung Q6 and a Sony FX 80 both in 55inch. The quality of the standard definition, high definition and 4k was outstanding on the Panasonic. I had a budget of £750 and the extra £50 seemed well worth it, this exact TV was selling for £1299 at the end of Feb.
Yep,I have. 49" &amp; 55" nu8000 both click.didnt at first (had since January 19) but both do now. Thanks for replying. It was a stupid question that I realised how stupid it was when I asked it. I need a glass of beer and an early night. Easier just to order the thing. Thanks again. They will only match if the other seller offers a "similar guarantee". So doubt they'd match Amazon. That is true to other games with fight scenes such as spiderman/batman or mortal kombat. But I was just specifically on about treyarch not running their black ops 4 servers at a high enough fps. It launched at 20hz and hasn't gone up drastically since and still isn't at 60fps so a 4k 60hz TV doesn't make a whole lot of difference, it really shows when you play it. But yeah, with the ps5 around the corner it would be better to get a TV with at least a 60hz refresh rate or even one of those new 8k monitors. Sometimes too big is just too big. 43 inches plenty for me! Ordered this last night cheapest it's ever been according to the camel. We've a decent size room, but 50" would look silly in our layout so this is perfect to replace and old D series Samsung 40" that takes up 47-48"! I'm no expert, but I'd go for the biggest one that suits (and that you can afford) after reading some reviews of course! I ordered the 43" 7303 version, just because it came on offer a few days before this one. I'm sorry I just can't agree with you I have the tv running 4k hdr from my xbox one x and it's set to game mode hdr and it honestly for the price can't be beaten. Black levels, colours and response time is all on point the only downside is peak brightness for hdr. This is the cheapest I've seen for this model and for a 55"er. It's just a shame that it's only 1 years warranty otherwise I'd snap this up. You can get this for the same price, with free delivery from AO on eBay! Save the £20 I was quoted for deliver! Use the 10% off code PRO10. Sometimes it’s only the colour of the tv,don’t be put off by the price this is a great deal . It uses an RGBW panel, therefore it's not a real 4k screen. More like 2.8k. For this price, obviously not expecting HDR10 or OLED, but at least it should be real 4k. You get what you pay for I guess. 12 month warranty I would say. Thanks. I didn't realise these things existed! Ambilight - does it elevate the viewing experience that much? I understand it bleeds out similar colours from the rear facing led strips to try and blend the tv into its surroundings (or at least that's what I think it does). What does it actually seem like when watching, is it the watching within the confines of a box that it gets rid of? If it's such a perception altering method of watching TV, why is it that no other manufacturers offer it? Are they too lazy, too stupid or is Philips really that advanced? (Genuine questions - not poking fun). Does watching TV on an Ambilight set tire your eyes at all? Ambilux - now that's something! That is the one I am looking at actually, thanks! My Samsung KS7000 just died a week after its 2 year warranty expired. They couldn't care less on live chat. I'm never going to buy a Samsung TV again. Panasonic or LG for me only from now forward. Televisions used to be simple. All you needed was an aerial and your TV would receive and display whatever the networks were offering on a given day. These days, things have changed. Digital TV and the rise of the internet have resulted in much more advanced TVs that are more like a hybrid of computers, smartphones and televisions. Smart TVs are at the head of the pack, but are they worth your money? While the technology to create Smart TVs has been around since the mid-1990s, it’s only been in the past five years that manufacturers like Samsung have brought advanced models onto the market. The basic format of Smart TVs is simple. High definition displays are combined with “Boxes” which download and store the software needed to offer enhanced internet and interactive services to users. In many ways, it’s a natural development of digital TV, and Smart TVs are rapidly becoming mainstream. In fact, by 2018, some analysts think that all new TVs will be "Smart". So it could be the ideal time to invest in a cutting-edge model. What are the Uses of Smart TVs? Why would you buy a Smart TV and not just a 4K or HD TV? Well, the difference is fundamental. Ordinary TVs have very limited digital functions and are basically just displays, whether that’s for gaming consoles, cable TV or Blu-ray drives. Smart TVs come with a computer processor attached in the form of their box. This allows the maker to regularly update software on the system and users to download new apps to add extra functionality to their TV. The system makes it easier to combine TV watching with services like iTunes. It makes it simpler to manage on-demand TV watching, provides access to online games and social media platforms as well as streaming services like Netflix or Amazon. With that range of capabilities, it’s obvious that Smart TVs are a useful tool for entertainment junkies. In some cases, they may also allow families to do away with expensive sound systems or even extra computers. Screen Size – Probably the first thing most TV purchases look for, the size of your screen is a fundamental influence on your viewing experience. The very latest Smart TVs have hardly any bezel (the outer frame of the TV), and are usually around 50 inches from corner to corner. Resolution – Along with screen size, the picture quality of a Smart TV (or any TV) is another fundamental specification. The latest TVs generate resolutions far in excess of older HD TVs, with 4K Ultra HD systems leading the way. If you are the kind of person who zeroes in on any picture flaws, go for a 4K Smart TV if you can find a good deal. LED/OLED/Curved – You’ll also need to choose between LED, OLED and curved displays. Curved displays tend to provide a more immersive viewing experience, but are easily the most expensive. OLED displays produce vibrant colours, while LED displays perform at a slightly lower level but use much less energy (and cost less). Sound – Another key technical requirement of the best Smart TVs is great sonic performance. However, one handy feature of Smart TVs is their ability to interface with Bluetooth enabled home cinema systems and soundbars, allowing you to enhance their sound quality considerably. Connectivity – A key aspect of Smart TVs is how they connect to other devices. Some of the most advanced TVs can communicate seamlessly with laptops, tablets and smartphones as well as Smart Remotes and Smart Keyboards, but this varies between different models. Look for TVs with Bluetooth capability (not all of them possess this) to maximise your connectivity options. 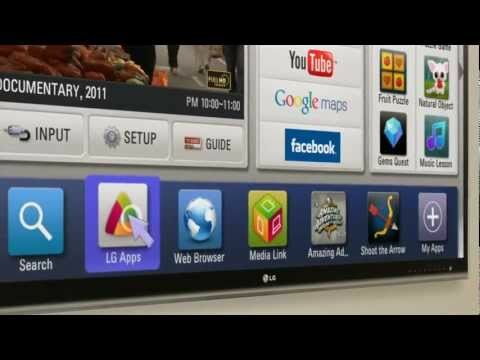 The Smart TV Interface – There is no standard software system used by all Smart TV manufacturers. Instead, different companies have their own app menus and internet browsing packages, and you won’t feel at home with all of them, so give them a try in person before you buy. Some systems are less flexible than others too. For instance, they may have certain apps that you cannot delete, or the ability to add new apps could be limited. So, check that too before making a purchase. The core of the appeal of Smart TVs is the software they use, so what differences are there in the packages available? The most important apps used by Smart TVs are the Operating Systems they use. LG uses WebOS, which is fast, offers quick USB playback, is well organised and caters for voice commands. Samsung uses a system called Tizen OS which groups apps into “Hubs” like gaming, films or TV, offers viewing suggestions based on your past selections, includes voice recognition and also kinetic gesture-based control as well. Samsung’s system is also known for its high-quality connectivity between Smart TVs and tablets or smartphones. Panasonic have chosen a Firefox based OS which is distinctive due to its easily customisable home page and FreeviewPlay which provides ready access to BBC, ITV and Channel 4 content. Sony uses the Sony Entertainment Network. This offers more storage space than other systems, excellent compatibility with Android devices, the ability to use Apple phones as remote controls, USB playback and voice recognition. Toshiba use the Toshiba Cloud which has an uncluttered "Multi-hub" interface, good USB playback and a fast refresh rate, which should suit gamers. 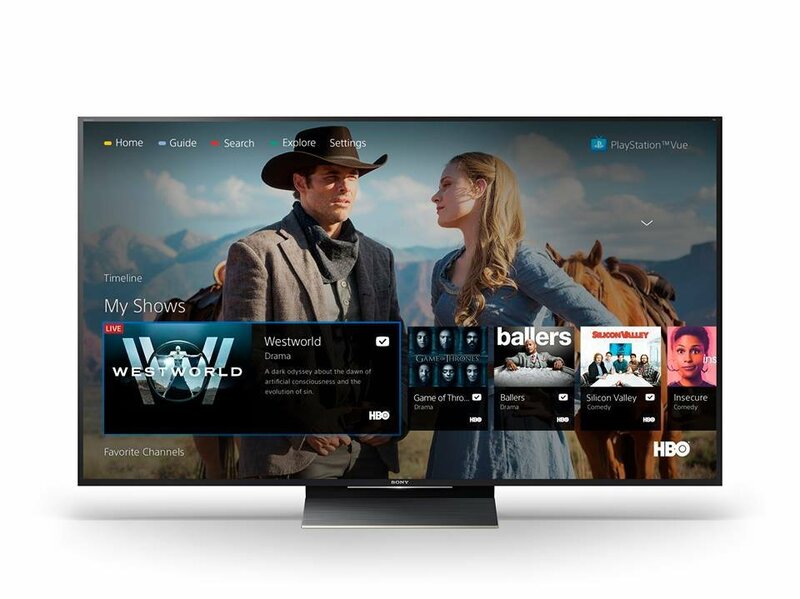 Philips use Philips Smart TV, which has built-in access to 50+ streaming services and innovative on-demand news services which build news content based around the user’s preferences. Another key thing to look for is whether your Smart TV offers an internet browser as part of the deal. While all Smart TVs connect to wi-fi internet, not all of them come with a web browser as standard due to issues with displaying web pages via TVs (and possibly security worries). However, many do have a browser, so if that’s a key consideration for you, be sure to check the specs before you buy. Almost all Smart TVs offer access to popular streaming services like Netflix, Amazon Prime Video, the BBC iPlayer , All 4 and YouTube as well as music streaming apps like Spotify and Pandora (not iTunes). They also allow you to connect to gaming services like PlayStation Now. Impressively, this service enables Smart TV owners to stream PS3 games like Assassin’s Creed directly onto their boxes. There are sometimes issues with lag, but the games tend to be completely playable. PlayStation Now requires a separate controller and subscription, although free access sometimes comes as part of Sony Smart TV packages. Smart TVs also hook-up to social networking sites like Facebook, auction sites like eBay and useful apps like Accuweather, PowerPoint and Skype. The range of different capabilities is impressively broad, and getting larger all the time. Before buying a Smart TV, the first thing to think about are the practical aspects of your TV. Remember, no matter how advanced the software is inside the box, you’ll still need a TV that can be comfortably watched in your home. If you have a relatively small living room or bedroom, going for a slightly smaller screen makes sense. Larger screens are great, but in small rooms they can become hard to follow. Then again, if you are buying a TV for a larger lounge, you can be more ambitious. 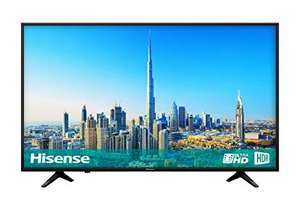 Go for something 50 inches or more across if you want to achieve full immersion in the TV, sport or movie watching experience. Another thing to think about is whether you actually need all of the add-ons that come with a Smart TV. Being able to play Angry Birds (/tag/angry-birds) on your TV sounds great, but it might not change your life. Checking social media via your TV remote could be handy for YouTube or Facebook (/tag/facebook) addicts, but with smartphones and iPads (/tag/ipad) around, will you really use it that much? Smart TVs are probably most useful for families with a diverse range of interests. If you need to record sports, cartoons, films, TV shows or even social media videos, Smart TVs allow you to do so and organise your shows with ease. However, it’s important to note that you don’t need to purchase a Smart TV to stream from online services like Amazon, Netflix or YouTube. All of this can be achieved on standard HD or 4K TVs by using streaming sticks available from companies like Roku or Amazon (for much less than the cost of upgrading your TV). Having said that, within a couple of years all TVs sold from major high street and online merchants are going to have Smart TV functionality. So it might be worth adding a streaming stick to your older TV and waiting for the cost of Smart TVs to curve downwards. What about security concerns? Many people have flagged up concerns about how Smart TVs can be hacked to gain access to personal information and bank accounts. Some have pointed to their use as surveillance tools. Those concerns are more or less theoretical (as far as we know) but the security issue is real, but no more critical than shopping online via your laptop. It looks like the best option is to exercise caution when entering personal details via your Smart TV and to limit your online purchases. At this point, you’ll probably have decided in your mind whether to go for a Smart TV, a conventional HD or 4K TV, or to stick with your laptop to view streaming services, but a recap of the strengths and weaknesses of Smart TVs could still be useful. Smart TVs offer access to a large and growing library of popular apps, including YouTube, Facebook, Spotify, Netflix, the BBC iPlayer, Accuweather, Skype and Pandora. Some Smart TVs allow you to access gaming services like PlayStation Now and to play games without owning a physical console (though you’ll need a controller). You can play simple online games on all Smart TVs, including popular titles like Angry Birds. Smart TVs can evolve as manufacturers make software updates, allowing their capabilities to keep pace with technological changes. You can make video calls and take pictures using Smart TVs, then add them instantly to your social media profile. Advanced Smart TVs allow for cutting edge tools like voice and gesture recognition. Smart TVs are available that integrate into Smart Home systems (like the Samsung SmartThings system), enabling you to control things like your home’s heating, security alarms or kitchen appliances. You can stream Netflix movies, iPlayer shows or social media videos on older HD or 4K TVs by using devices like Amazon Fire Sticks at a much lower cost than buying a new TV. Smart TVs do not include compatibility with Apple services like iTunes. To access your iTunes library, you’ll need to invest in an Apple TV. Sometimes even the most advanced brands of Smart TV are susceptible to crashes and hanging, which could impact upon your viewing pleasure (though these problems are being ironed out). Smart TVs don’t provide access to cable or satellite digital TV networks. To access those services, you’ll still need to purchase a digital box from the network provider. For example, if you want to watch BT Sport, you’ll need to apply for a BT Vision or YouView box (or stream the limited selection from the BT website. Concerns have been raised about how vulnerable Smart TVs are to hackers, and whether their cameras could be used as surveillance devices. However, despite those qualifications, it looks like Smart TVs will be the only option for people buying new TVs within a couple of years. The question for current buyers is whether to upgrade now or later? There’s not really a simple answer, given that you can add a streaming stick to older systems and they can be hooked up to gaming consoles easily. Some people will adore the ability to scroll between apps easily, while others won’t appreciate the added complexity. It all comes down to whether you are comfortable with the new technology and it adds something to your entertainment experience. Smart TVs can be purchased almost anywhere that sells conventional flat screen HD TVs. Some of the most popular high street brands to visit include John Lewis, Currys, Richer Sounds, Sainsbury’s, Asda and Argos. It’s probably a good idea to head down to a local shop to have a look at how each TV works and whether the interface is one that you can use comfortably. When you’ve found a system that you like the look of, you don’t need to buy it in-store. 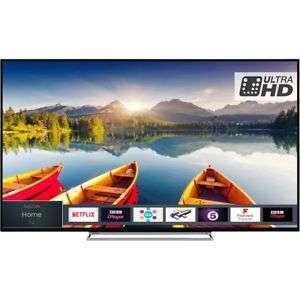 At the HotUKDeals Smart TV pages, you’ll also find plenty of discounts from online merchants like Amazon, Appliances Direct, AO and Electrical Discount UK. 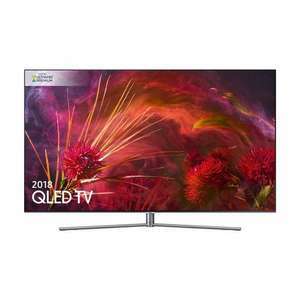 All of them offer regular reductions on major Smart TV brands like LG, Samsung and Panasonic, so shop around and wait until a killer deal materialises. It's also a good idea to time your purchase to get the best deals. For example, major manufacturers like Sony and Samsung often run promotions around Black Friday and Cyber Monday in November, and the post-Christmas sales as well. Retailers also tend to lower prices during summer when demand for TVs is lower, so look for deals in July and August too (unless there's a major sporting event that year). Smart TVs are changing the way we watch TV, use apps and interact with each other, and they will soon become standard in the UK market. 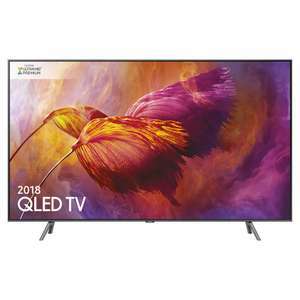 To get ahead of the curve and explore what Smart TVs can do for you, keep track of the deals on offer on the HotUKDeals Smart TV pages and secure huge savings on HD TVs from the world’s leading brands.